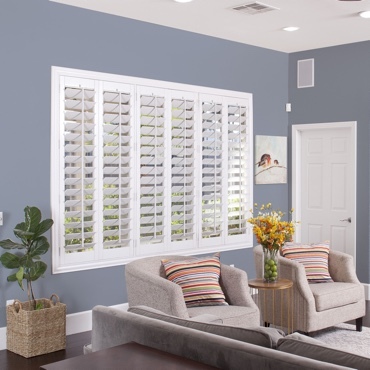 Whether you’re cleaning your whole house or getting your place ready for a get-together, cleaning your Austin shutters is a job that needs to be done, and done the right way. If not, you may be looking at permanent stains, discoloration, or damage to the shutter. So how do you clean plantation shutters? That’s going to depend on the type of shutters you have in your space. To see how Denise Cooper of Be My Guest with Denise cleans her Polywood shutters, watch this video. 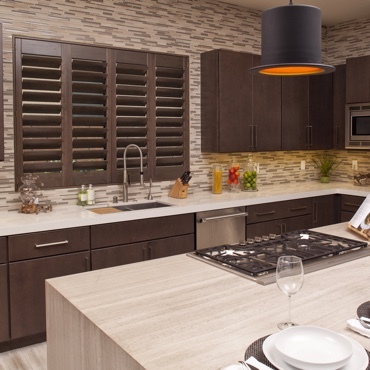 Cleaning your Austin faux wood shutters such as Polywood® is a little different than cleaning real wood. Usually, there’s no wood stain that you need to be careful not to damage, and faux wood tends to be more scratch-resistant. Using a dusting cloth, go over each part of your shutters to get rid of any dust or debris. For bigger smudges or messes, rub them down with a barely damp cloth. As with wood shutters, don’t use any chemical compounds or any caustic cleaners. A slightly wet cloth is fine to use to clean faux wood shutters, but it’s usually a good idea to dry the shutter after removing the mess. When you clean real wood shutters, try to be careful not to do anything overly abrasive that could impact the wood finish or expose the wood to moisture. To clean the dust off of wood shutters, all that’s needed is to give the shutter panels and frame a quick once-over with a dusting cloth. For deeper cleaning, try rubbing first with a dry cloth. You usually shouldn’t use a damp cloth unless it’s completely necessary, and even then, the less wet the cloth, the better. Only do this for smudges or spills – don’t wipe down the entire shutter with it. If you’re using a wet cloth, always follow it with a dry cloth. Also, don’t ever use an abrasive chemical agent, or you could risk damaging the wood finish. For additional cleaning tips, contact us by calling 512-549-6077. Note: These steps were specifically made for products built by Sunburst shutters. For how to clean shutters from a different company, contact your shutter dealer.